Quentin Tarantino, the long-time Weinstein Co. collaborator, filed an objection in Delaware bankruptcy court on Monday in an attempt to block to the studio’s updated sale to Lantern Entertainment. 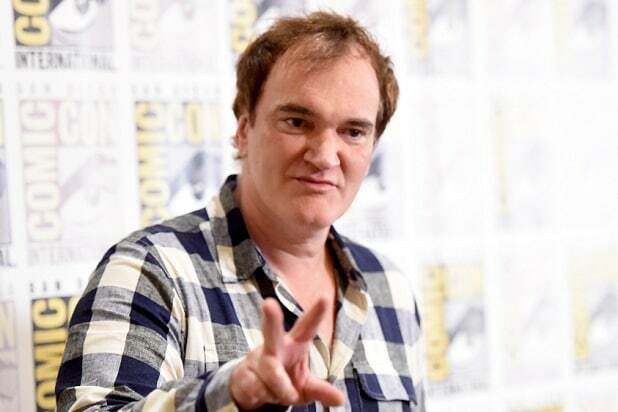 Tarantino said in a filing that TWC failed to meet the certain requirements under agreements he had for his films “Death Proof,” “Inglourious Basterds,” “Django Unchained,” and “The Hateful Eight” — including not being paid $4.3 million in royalties and participations. The objection was filed along with Visiona Romantica, Inc., Jackboot, Inc., Brown 26 Productions, Supercool Manchu Too, L. Driver Productions, Inc. and Cine-Manic Productions, Inc.
Tarantino is attempting to block TWC’s sale to Lantern until he’s paid what he says he’s owed. He said he’s been trying to work with TWC and Lantern to resolve the dispute, but to no avail. TWC, Lantern and the unsecured creditor’s committee — which represents, among others, accusers of former TWC head Harvey Weinstein — agreed to new sale terms that cut the price to $289 million from $310 million, instead of to a previously proposed $287 million. “The resolution also includes, among other things, Lantern’s agreement to make numerous cure payments for contracts it is assuming in the sale — an issue that was important in resolving the concerns of unsecured creditors,” TWC said in a statement at the time. Tarantino objects to TWC and Lantern’s amended purchase agreement, which would grant Lantern control of the contracts he has with TWC without needing to resolve current defaults or get his consent.